"If he does it wrong, he's going to suffer. And that's his deal"
Despite the controversy surrounding Louis C.K. going nowhere fast, the disgraced comedian has been attempting to stage a comeback in the wake of sexual misconduct allegations. In perhaps not the wisest move, Jerry Seinfeld has now given us his two cents about the whole thing. No. It's the way he did it that I think people didn't like. Some people didn't like that he's doing it at all. We know the routine: The person does something wrong. The person's humiliated. They're exiled. They suffer, we want them to suffer. We love the tumble, we love the crash and bang of the fall. And then we love the crawl-back. The grovel. Are you going to grovel? How long are you going to grovel? Are you going to cry? Addressing C.K. 's rather open response to the allegations, Seinfeld said: "People, I think, figured they had that coming with Louie — he owes us that. We, the court of public opinion, decided if he's going to come back, he'd better show a lot of pain. Because he denied them that." While many in the court of public opinion have criticized C.K. 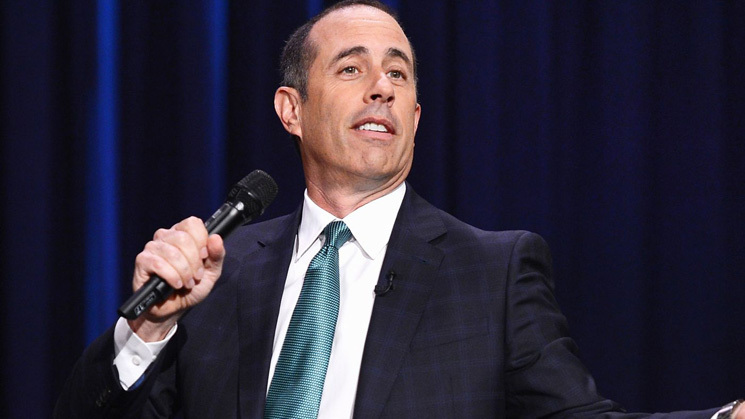 over the attempted comeback, Seinfeld appeared to say that it wasn't his place to judge. When the NYT asked if C.K. should be back onstage, Seinfeld replied, "I can't say what he should do. You do whatever you want. If he does it wrong, he's going to suffer. And that's his deal." If there's a crime here, and the law gets involved, that's what the law is for. The laws of comedy, we kind of make them up as we go. Part of entertainment, sometimes, is the life of the person. We want that to entertain us, too, as part of the act. We like your show, and then we like your messed-up life. That entertains us as well. When you saw Richard Pryor, it was more than just the act. You're in the room with this guy who lived this crazy life. Somebody said it's the first time that someone has misbehaved where all people ask about is, "How's the perpetrator? How's he doing?" They don't ask, "How's the victim?" As previously reported earlier this week, Sarah Silverman also spoke of C.K., telling Howard Stern that C.K. masturbated in front of her when they were younger, though with her consent.